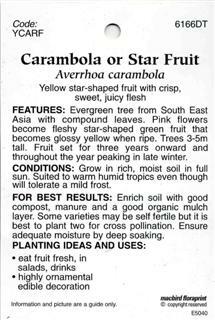 FEATURES: Evergreen tree from South East Asia with compound leaves. 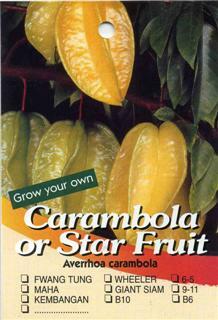 Pink flowers become fleshy star-shaped green fruit that becomes glossy yellow when ripe. Trees 3-5m tall. Fruit set for three years onward and throughout the year peaking in late winter. 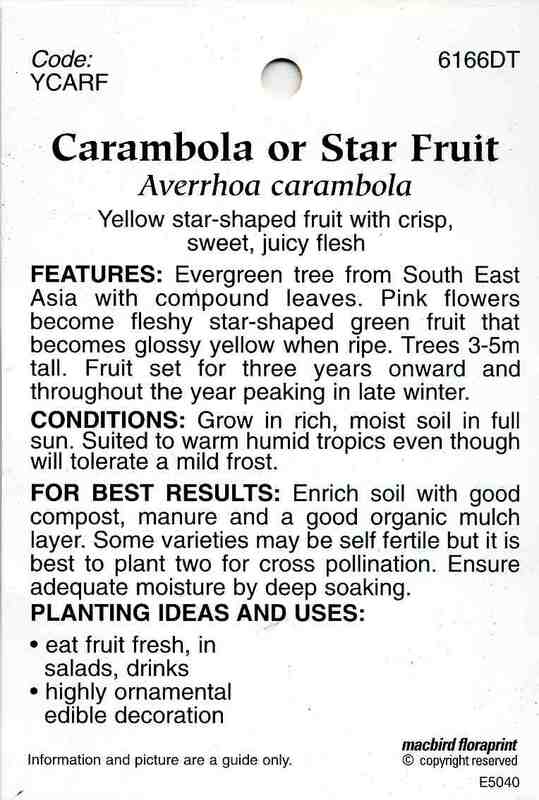 CONDITIONS: Grow in rich, moist soil in full sun. Suited to warm humid tropics even though will tolerate a mild frost.